This is not so much a recipe as a simple "how to" with lots of room for you to tweak as you wish. I'm some kind of a cooking genius. What I am is what I am in most areas of my life, I just dive in and try, and sometimes it works out beautifully. The times it doesn't may have to be the topic for another post someday. Anyway, I'm writing this from bed, snuggled under my favorite wool quilt, recuperating from a weekend attack of the flu. You need this recipe for days like this. 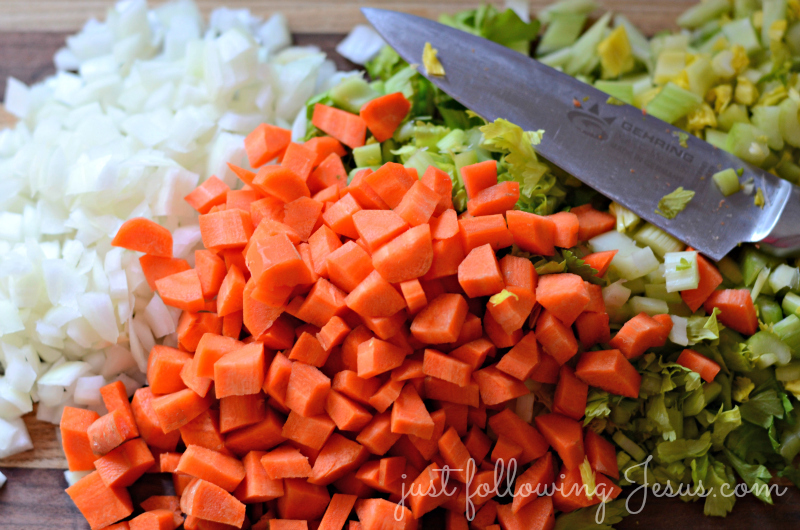 Dice up a medium onion, three or four carrots and three or four stalks of celery. 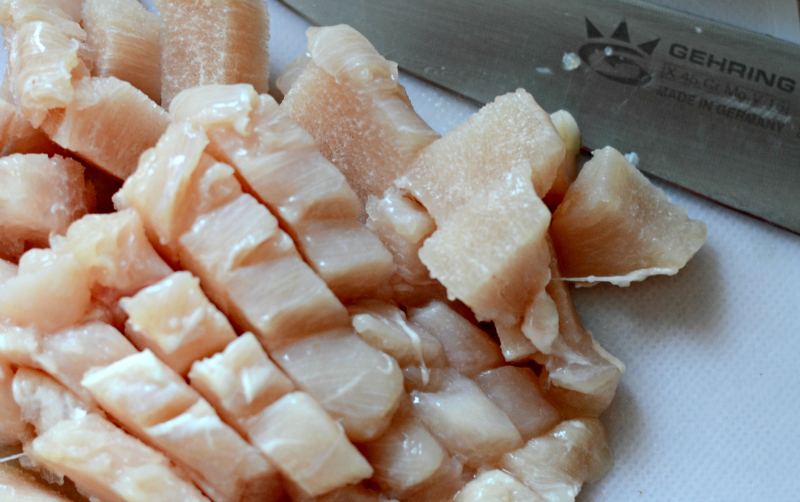 Cut up 3 boneless, skinless chicken breasts into bite sized pieces. Dump all of the above in a 6 quart soup pot. If it's red and cheery and says Le Creuset on it, so much the better. 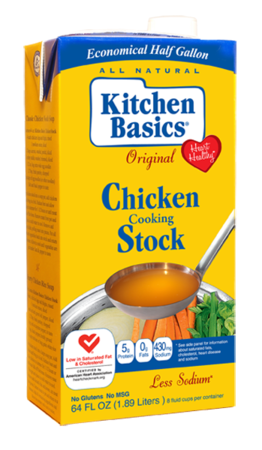 Add one quart of chicken stock- homemade, boxed or canned is fine. This kind is my favorite. Add a quart of water and 3-4 chicken bouillon cubes. Add 2 cloves minced garlic. Add seasoning salt to taste. Add McCormick's Grill seasoning for chicken to taste. Simmer until chicken and veggies are cooked, about 45 minutes. 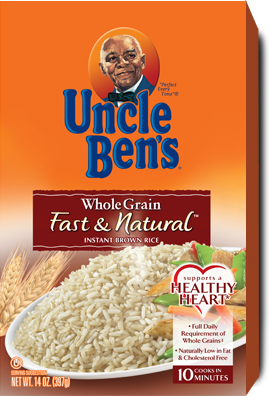 (studies show this is just a nutritious as regular brown rice). Add some dried parsley, or fresh parsley minced. Simmer until rice is done. Serve with some of this bread, as seen in my photos. Ohhh this looks delicious! I've pinned it to my Homemade Soup board! I'm trying out a new soup recipe every week this winter. :) Thank you! I'll have to alternate this with my chicken noodle soup. Looks delicious. Makes me wish I had a bowlful on this snowy winter day. I am glad you are on the road to recovery. 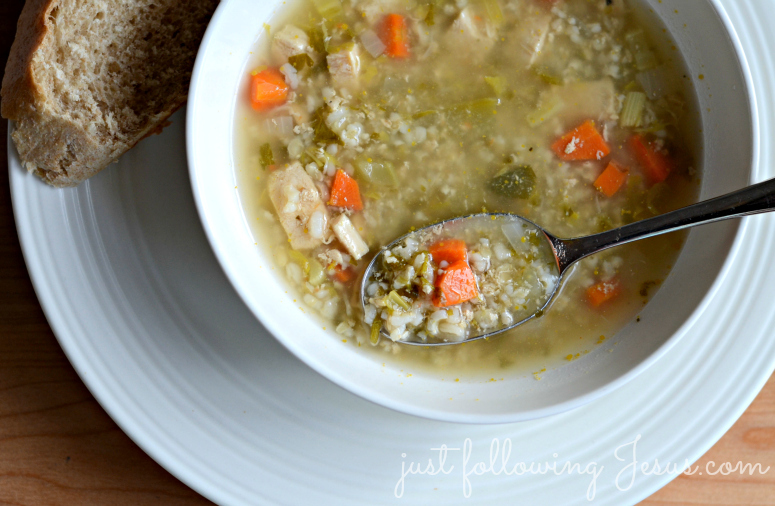 A soup is a wonderfully satisfying dish to make! And so tweak-able! Reading your previous post - the Joy Dare is such a blessing. I've also had Matt Redman's 10,000 Reasons on repeat! The first few times I heard it, it would ruin me. Such an extravagant God, and the extravagance of all that praise showering back on Him! And the picture of even at the end of life, rejoicing and praising. I said to my husband, when I go, I'm leaving this earth with great rejoicing. What a glorious testimony that will be! Ok. I'm stopping now. Feel better! I hope you are getting some rest and beginning to get better. And I hope you didn't have to stand and chop all those vegetables this morning! Thanks for the recipe - I'm planning to make it for supper tonight! I wanted to make soup, had some chicken thawed and wasn't sure which direction I was going to go with it. Then I read your post this morning and it was a done deal! Take care of yourself - get well - we have thrifting to do when you are all better! The soup looks wonderful! Thanks for sharing the recipe. We love chicken soup around here. I sure hope you are feeling better. Blessings to you. I printed it, and will make it! I Pinning this right now! I love how your header changes with the season! 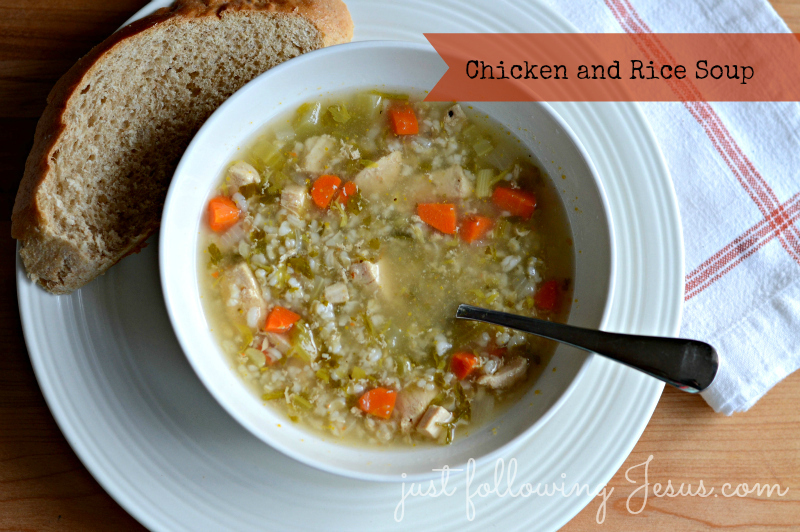 I was just thinking about chicken and rice soup the other day. Glad I found your recipe. I must try this. It's like I can see the steam rising from the bowl! Thanks for sharing your recipe!